How Do You Write an Equation of a Line in Slope-Intercept Form from a Word Problem? Word problems are a great way to see math in the real world! 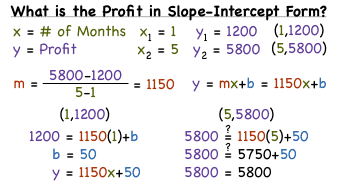 In this tutorial, you'll see how write an equation in slope-intercept form that represents the information given in the word problem. To see how it's done, check out this tutorial!